Plug load control is the law – or close to it, thanks to California’s Title 24 (see the four-part series here) and ASHRAE Standard 90.1-2013 (I-P). But, take it from me. It’s also a good idea. It’ll save you money. Before we get to that, a bit of background. 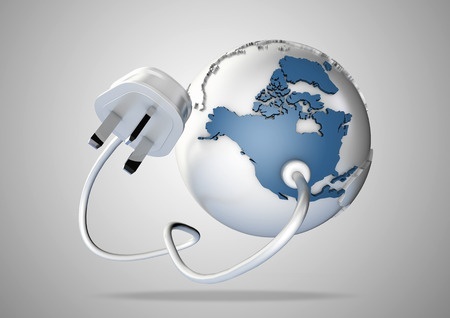 A plug load is the energy used by anything plugged into a standard wall outlet. Now, this excludes major end uses like heating, ventilating, air conditioning (HVAC), lighting, water heating and so on. But everything else – coffee pots, computers, televisions, monitors, smartphone chargers and more – falls into the plug load category. It’s a big category. In office buildings, more than 25% of the total energy consumed goes to power plug-in devices. Even in the greenest of buildings, plug loads and lighting account for close to half of all energy usage. Some of that plug load happens because gear is being used. A computer or another device, maybe like the one you’re reading this on, is plugged in and consuming power. But some of that plug load is just waste. The lights, a computer or a monitor may be on and nobody’s home – literally. Or what’s going out the plug could be due to a vampire load. You know, when a printer is just sitting there, ready to spring into action if you ever need it. That takes power too, just not as much as when the thing is actually running. However, the standby draw is always there, even when a device is supposedly turned off. Plug load has been growing. Unchecked, it would soon be bigger than any other category. So, regulators and industry worked together to make changes to standards and the like. Specifically, the changes called that at least 50% of receptacles to be controllable. Team up such a plug with an occupancy schedule, and you wouldn’t have equipment sitting idle while nobody was around to use it. No more rows of glowing red, blue, green or other color LEDs. No more monitors or televisions lighting up empty rooms while consuming tens of watts. In addition to plug load control, the standards also call for improved metering and monitoring capabilities. California’s Title 24, Part 6, for instance, requires metering be user accessible. These standards and regulations don’t mean you should immediately rip out an old electrical service or panelboards and put in new ones. But the standards are something to keep in mind. When that time comes to upgrade or put in a new electrical service, there are a few things to consider. First, look for a solution that offers plug load and lighting control, as well as energy metering. With that combination, you’ll have the control and tools needed to maximize energy savings. Second, the solution has to meet all the other codes as well. A panelboard, for example, has to meet applicable NEMA, NEC, UL and FCC requirements, just to name a few. Third, any solution should not require extra space or wiring. If it’s a panelboard, for instance, it should fit within a standard housing and not demand additional cabinets or installation time. After all, you want to be in control and also be positioned to save money. That can be hard to do if you’re spending extra up front getting something installed and running. For an example of one such solution, check out our Powerlink Intelligent Panelboards. With its capabilities in terms of plug load, automation and other control, the payback for installing a new or retrofitting an existing electrical service can be quick. For ore information, please contact us at powersolutions@schneider-electric.com.